Buying Investment Precious Metals ( bullion ) online is safe and easy with IPM Group, follow our simple 8-step process from making your choice to actually having the physical metal in your hands. Shop via our Product Category list. Add products to your basket by clicking the "Add to Cart" button. View your shopping basket by either simply clicking on the basket in the top-right of the screen or click "CHECKOUT" on the very top and to the left of the screen. View your order and if correct then simply click "Proceed to Checkout"
If you have already previously registered then simply enter your login details. Also decide where you want your order delivered too - your address or elsewhere, Self-collect or Freeport Allocated Storage? Select a delivery option. We offer fully insured delivery by Brinks or UPS to your designated address. If you wish to self-collect from Malaysia this will be invoiced separately. You can self-collect your Order from Freeport of Singapore for a small handling charge. We also offer a high security, fully insured allocated storage solution (in customers name) within Freeport of Singapore managed by Brink's and exempt from all taxes. From as little as US$ 52 (or local currency equiv.) per month. See advantages of this read here. Call +65 - 315 827 91, if in Malaysia call freephone 1800 817 685 or email to orders@indigopreciousmetals.com to place orders over US$ 50,000 (or equivalent). Review your order and when happy, click "Place Order"
Once confirmed, you have committed to buying at the locked price. You will receive a confirmation email with your Order Number and our Bank Details so you can make an initial deposit within 30 minutes. Further payment on remaining funds is due within 48 hours. If you have a pre-existing Credit with IPM Group then this can be used to cover your purchase. Pay for your metal. When we receive your cleared funds (within 48 hours) we will send a confirmation email and prepare your order for dispatch. Please note: Bank transfers - 10% deposit at the minimum must be credited to one of our accounts within 30 minutes of order to guarantee purchase price. 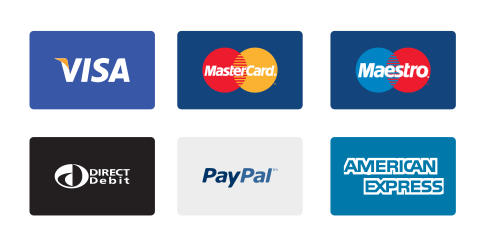 Othewise you can pay a deposit via our PayPal payment gateway using a number of different cards. Cash Settlement - we also offer a cash settlement of remaining invoice on collection. Please see here. Your order will be delivered in discreet, unbranded packaging via one of our logistic agents and will need to be signed for on delivery. If your parcel is not signed for it will be returned to logistic agents central sorting office, where you can choose to collect it or arrange for re-delivery. Customer Has No Risk : Your order will remain fully insured the entire time it is with the logistic delivery agents. If you have decided to self-collect then pickup details will be sent, or you may have decided to store your holdings at Freeport of Singapore in your own allocated name. A statement of your holdings will be sent on a quarterly basis, although you can request for statement holdings on a more regular basis.